By Spencer. For those who love our movie coverage but think there’s way too much reading involved, you’re in luck. This week, all you have to do is listen! 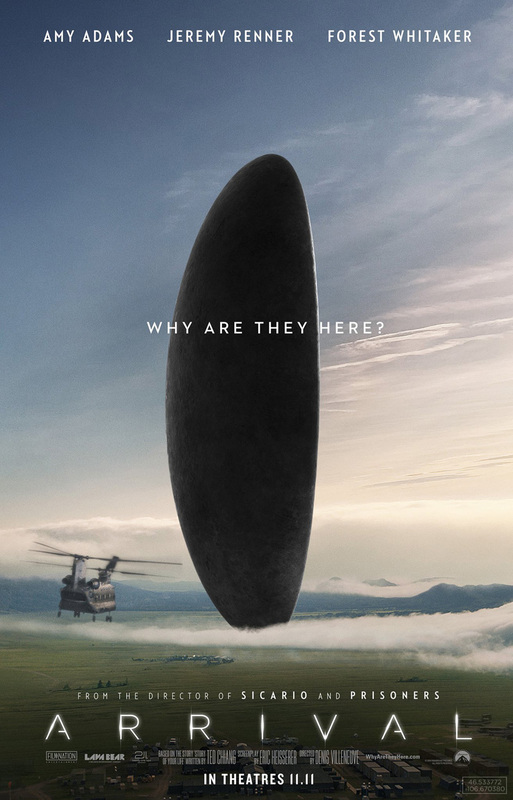 I’m guest hosting the latest edition of the movie podcast, Movies That Matter, which focuses on “films going above and beyond the call of box office returns to boldly explore a social issue affecting people’s lives.” On this edition, host Nicole Funari and I share a wide-ranging conversation on this month’s surprise art-house sci-fi hit, Arrival, starring Amy Adams, Jeremy Renner, and Forest Whitaker, and directed by Denis Villenueve (Prisoners, Sicario). It’s a movie full of big ideas about communication, the nature of time, grief, and the things that bring us together as human beings. And naturally, we couldn’t help but get into a little political conversation as well, with some of the film’s themes proving timely in the wake of an election that exposed deep failures of communication between red and blue America. You can download the podcast here or via iTunes. And stay tuned to Movies That Matter, because they’ll be bringing in a number of other guest hosts over the coming weeks to explore some of the best year-end Oscar fare.